Bibliophiles and those looking for quiet, indoor work may enjoy working with our friendly librarians, helping to preserve Mepkin’s old book collection, processing new books, or helping with one of the many projects going on at the CBL Library. 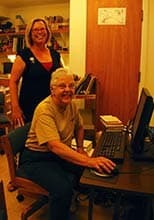 To volunteer at the Library, please contact Mepkin’s Librarian, Vivian Kaz. 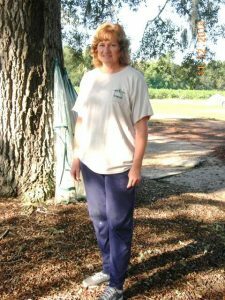 Mepkin Abbey relies on countless volunteers to maintain and manage the grounds and gardens at the Abbey. The Garden Volunteers are a fellowship, working on any day(s) between Monday-Thursday from 8:30-11:30. When we come in at 11:30, we have a snack or lunch together (which each person brings) under the Live Oak at the Breakroom. Mepkin supplies all garden equipment needed. Our goal is to continue the “sense of place” of Mepkin, a place of serenity, peace and healing for Retreatants, Visitors and Volunteers themselves. The Volunteer will receive a Garden Volunteer T-Shirt, a folder with the Mission, Vision and various protocols, as well as maps to familiarize yourself with the grounds and gardens. You will be greeted by a Volunteer and taken on a tour of the Abbey grounds and gardens and work with another Volunteer for the first several times you come. The Volunteers receive an email the day before they work from the Director, letting you know where and with whom you will be working. You will receive a monthly Newsletter as well as being invited to special events of the Garden Program and the Annual Picnic given by the Brothers at the Monastery. To Volunteer for the gardens, please contact Sylvia Bras (Volunteer Director) at 814-720-4174 or bellamaw1@gmail.com.